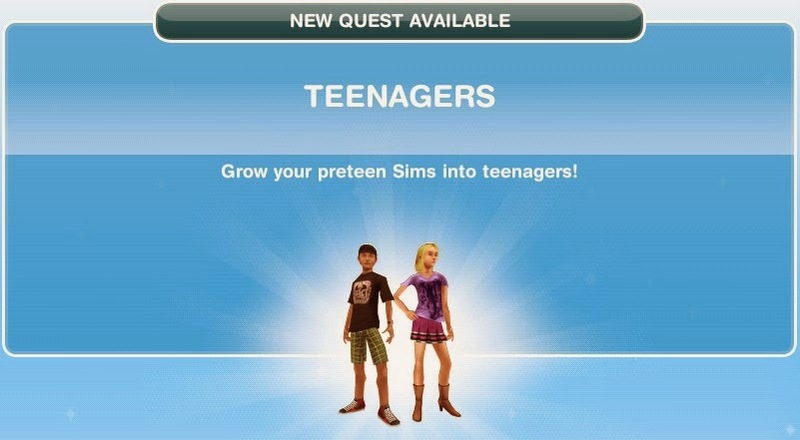 This (no-time-limit) quest unlocks the ability to age Preteen Sims into Teens. (While browsing the internet on his ship, Osiris stumbled across a number of ‘user reviews’ containing requests for preteen Sims to grow up into teenagers! Wow, teenagers! Osiris says that he has started work on a new device... and it’s nearly finished! (Hang on, who wrote these 'user reviews'? 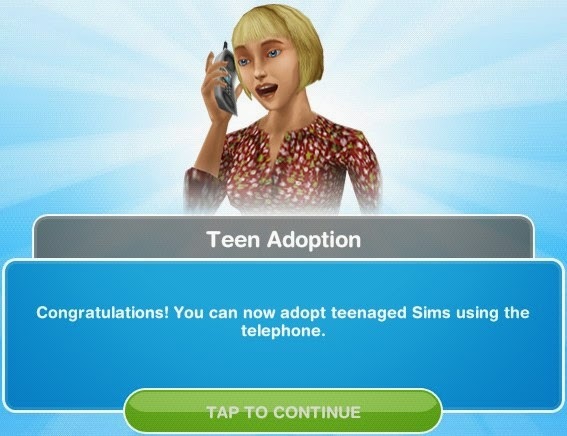 Who’s controlling the fate of Sims? Uh-oh, one of your Sims is starting to question reality. Get one of your Sims to talk to a tree in a housing lot. This might take a while – your Sim suspects reality is an illusion and that they live inside a simulation. (While your Sim was busy talking to the tree, Osiris was busy putting the finishing touches on his new device. And guess what - it’s complete! He’s going to install this device in all of your Sims’ ovens. That way every single birthday cake will be able to grow a preteen into a teen. (That’s it! Now you just need the instruction manual. (Finally! You’ve got the instruction manual! 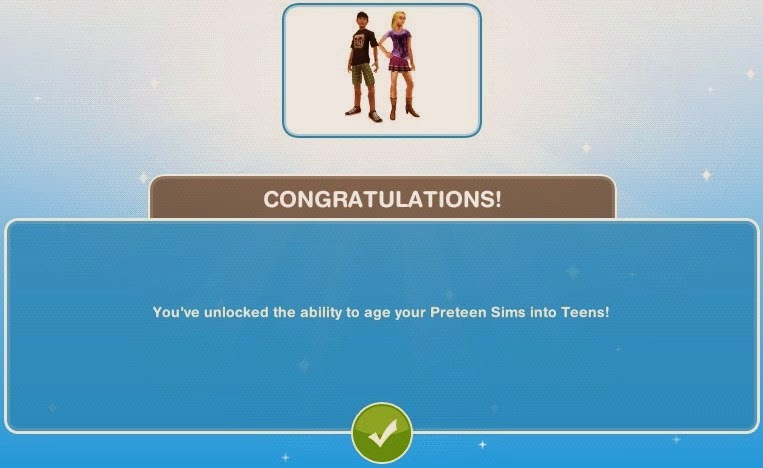 You've unlocked the ability to age your Preteen Sims into Teens! Please note: Adopting costs REAL money, above level 26 they will automatically age (and die) in time and can be replaced by having a baby. Money spent on adoption will not be refunded!